Fiona was admitted to practice in the Supreme Court of Queensland and the High Court of Australia in January 2005. She has worked in private practice in small and medium size firms, and at Legal Aid Queensland for a number of years, including in the specialist Violence Prevention unit. 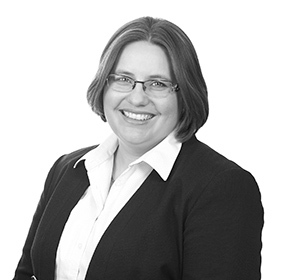 Fiona has appeared in the Coroners Court and the former Queensland Anti-Discrimination Tribunal and has experienced dealing with complex commercial and employment law litigation. More recently, she had undertaken defamation, consumer protection, discrimination, contractual disputes, and appeals in the Queensland Civil and Administrative Tribunal, Federal Circuit Court, Federal Court, Supreme Court and Court of Appeal including complex multi-jurisdictional matters. She has extensive experience in Family Law and related matters and has regularly appeared as a solicitor advocate in the Magistrates Courts, District Court, Supreme Court, Federal Circuit Court and Family Court. Fiona is experienced in listening to clients and understanding their needs, assessing the situation and providing accurate advice and options to achieve a resolution. She enjoys working with her clients to obtain good outcomes for families during what is usually a very stressful time. Fiona is experienced in direct negotiations, representing clients in mediation and Family Dispute Resolution and court applications. Fiona recognizes the importance of settling matters early. Fiona has served on the board of 3 not-for-profit organisations, including an Independent Church board. Fiona is accredited as an Independent Children’s Lawyer and as a Family Dispute Resolution Practitioner. She regularly volunteers her time at Women’s Legal Service. Fiona is a member of the Family Law Practitioners Association. Fiona is a regular presenter of technical papers and training at professional development seminars at the invitation of various peak bodies, schools and colleges, and continuing legal education providers such as TEN (Television Education Network), Legalwise, ACC (Australian Christian Churches), QB (Queensland Baptist), ACS (Associated Christian Schools) and QASR (Queensland Association of School Registrars).